Dancing Oaks Nursery maintains an extensive display garden filled with unusual trees, shrubs, bulbs and perennials from all over the world. The seven-acre Inspiration Garden at Mt. Fir Park in the city of Independence boasts nearly two dozen different garden areas. If you’re looking for something to make your eyes smile while you nose enjoys an olfactory treat, gardens in Independence, Monmouth and Dallas beckon. Whether you have a few minutes or a few hours to spend in these gardens, you’ll find them worth every moment. The seven-acre Inspiration Garden at Mt. Fir Park in the city of Independence boasts nearly two dozen different garden areas and features. Perennial beds on both sides of the entrance off G Street are bursting with seasonal color. The dwarf red twig dogwoods, iris and ornamental grasses set the tone for the impressive series of gardens along a path next to Ash Creek. The Inspiration Garden is a ongoing project of Polk County Master Gardeners. It will eventually house 28 to 30 different gardens and landscaping areas. Its purpose is to demonstrate research-based ecologically and environmentally sound garden practices. The Bee and Butterfly Habitat attract pollinators that visit Rhododendron Run and the Vegetable Garden. Bugs also love the Children’s Garden, which contains plants that thrill youngsters, like blueberries, pumpkin and the Peanut Butter Tree. The Joy of Roses Memorial Garden features more than 50 roses, while the Medicinal Plant Garden is filled with native plants packed with medicinal value. There’s a Small Fruits Garden bursting with blackberries, gooseberries, currants and blueberries. The Tree Fruit Orchard boasts apples, pears, plums, cherries, quince, kiwi and persimmons. Visit the Inspiration Garden during any season. The Winter Interest Garden features more than 250 plants and shrubs that bloom in winter or have colorful bark. The Bamboo Grove provides an excellent backdrop for the winter garden. 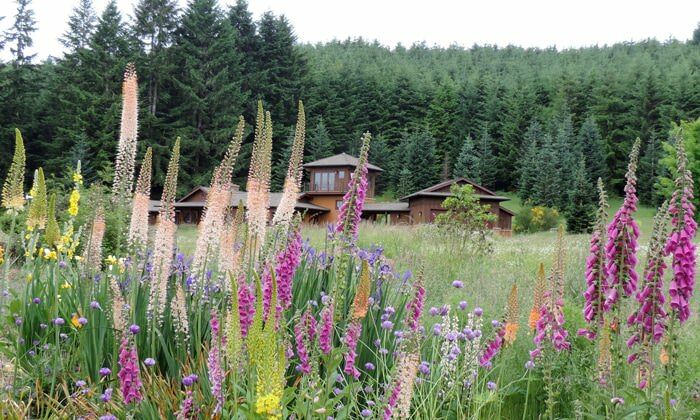 Nestled in the foothills of the Coast range in the Central Willamette Valley, Dancing Oaks Nursery maintains an extensive display garden filled with unusual trees, shrubs, bulbs and perennials from all over the world. It has been described by some as a miniature Oregon Garden. Early spring is an ideal time to visit the nursery with thousands of bulbs and a variety of daffodils blooming, providing a riot of color. The nursery is open to the public March through October, but November through February you can visit by appointment only. The Delbert Hunter Arboretum and Botanic Garden inside Dallas City Park provides a unique opportunity to see a living museum of Northwest native plants and trees. Rickreall Creek, a highlight of the park, caresses the perimeter of the garden. Its waters change with the seasons, ranging from fast-moving during the winter to gently flowing in the summer. Signs throughout the Arboretum and Botanic Garden will help you discover some of Oregon’s finest flora and fauna in their natural habitat. 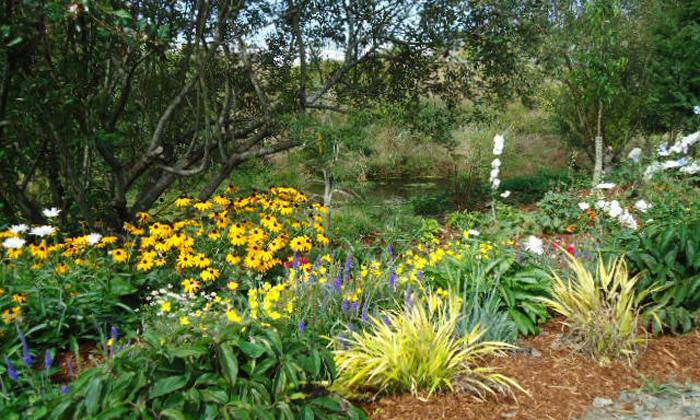 The garden includes everything from wetlands and riparian ecosystems to rock gardens and rare shrubs and flowers. 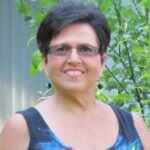 Carol Infranca is a former print and broadcast journalist and now a master gardener. When she's not in her garden, she's either showing her champion dogs at AKC events or teaching a social media class.